The A Team singer has invited the Mamma Do The Hump pair - aka Jordan Stephens and Harley Alexander-Sule - and The Sun reports that he's also putting them up in his bus. Jordan said: "Promoting yourself in the US costs so much. We can't turn down an opportunity like this." 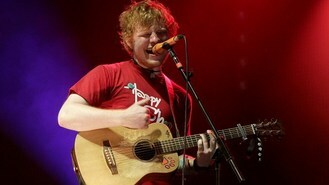 Ed's tour kicks off on January 17 with a sold-out gig at Houston's Bayou Music Centre. It finishes up on Valentine's Day in Arizona.